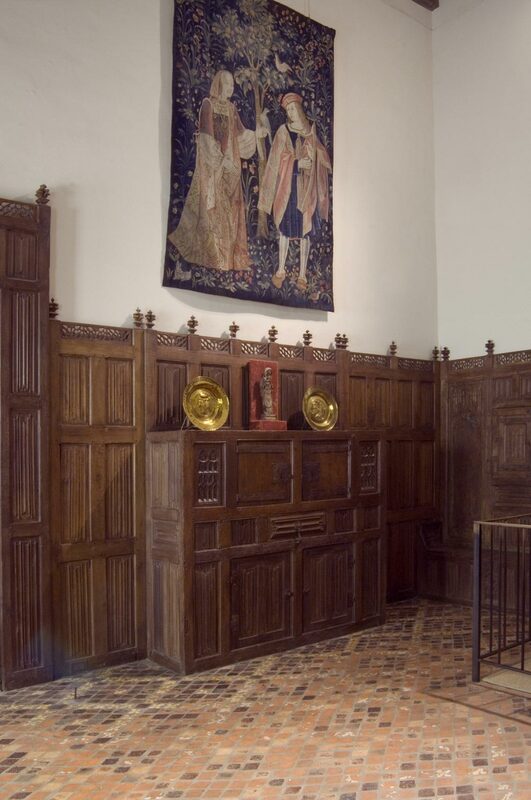 This room is composed of elements from several late fifteenth-century Northern European interiors that have been assembled with modern additions to suggest the paneled rooms of the late Gothic period. 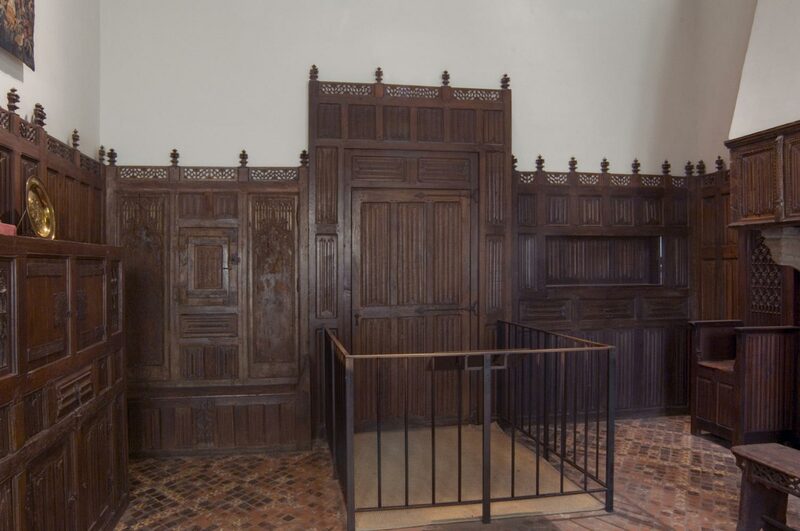 Some of the paneling is said to have come from a hunting lodge in Normandy near Le Mans. The ceiling is from Lille, near France's border with Belgium, and the painted floor tiles are from an unknown French building. 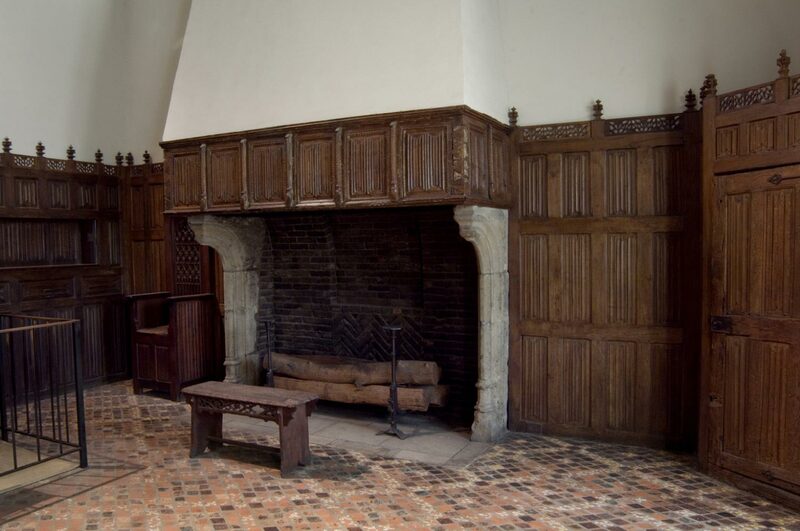 The wood across the hood of the fireplace is Flemish in style. Paintings of the period indicate that the woods in fifteenth-century rooms were originally blond or medium brown. 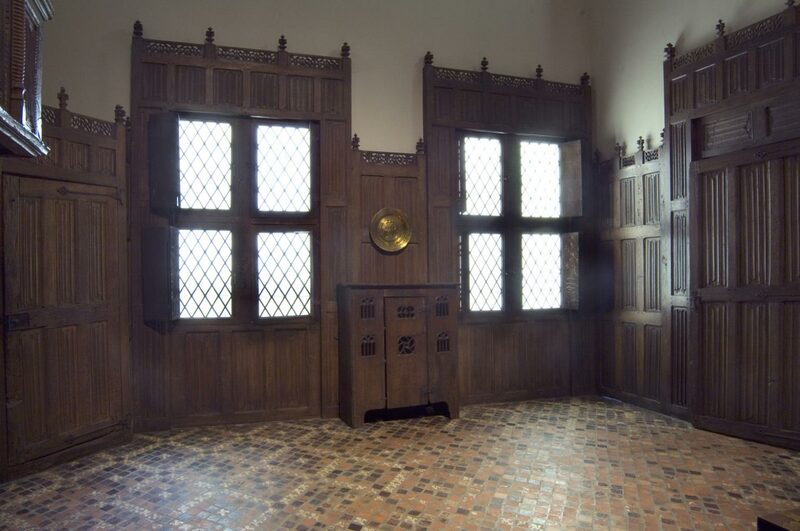 The surviving wood in this room, however, has either darkened with age or been given a darker finish to suit a later taste. The paintings also show that rooms were enlivened and made more comfortable with fabrics. In Northern Europe, red was an especially popular color for bed hangings and pillows. In planning the installation of this room around 1930, the Museum's director, Fiske Kimball, increased the height of the ceiling to provide more wall space.